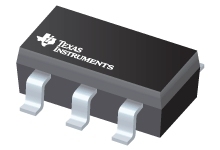 This single D-type flip-flop is designed for 1.65-V to 5.5-V VCC operation. The SN74LVC1G175 device has an asynchronous clear (CLR) input. When CLR is high, data from the input pin (D) is transferred to the output pin (Q) on the clock's (CLK) rising edge. When CLR is low, Q is forced into the low state, regardless of the clock edge or data on D.